A Canadian-owned company may have engaged in some dodgy documentation in order to sell dozens of armoured vehicles to the military in war-torn South Sudan, CBC News has learned. The Streit Group, through its factory in the United Arab Emirates, exported 173 Cougar and Typhoon armoured troop carriers to South Sudan in 2014, in a deal recently criticised by a United Nations panel that's monitoring weapons sanctions against individuals in the central African nation. 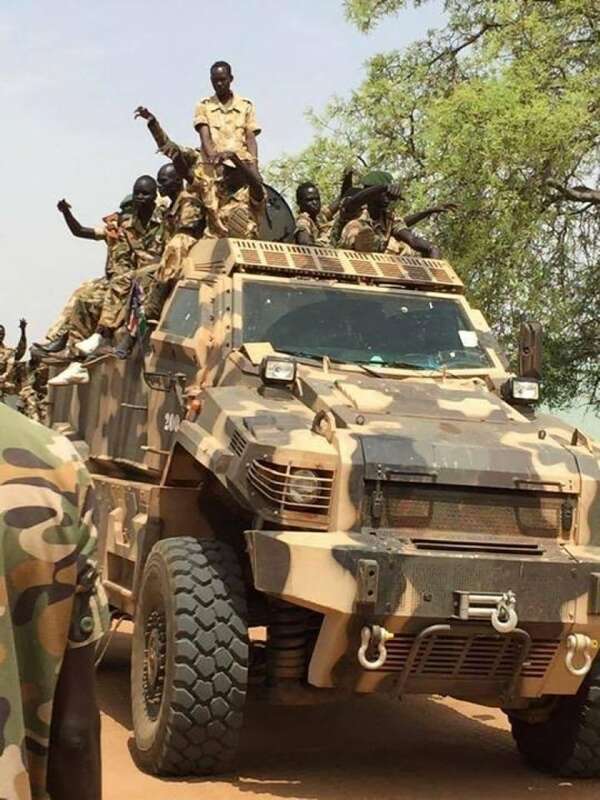 Leaked documents obtained by CBC, which include internal shipping records and certifications, show the unarmed vehicles, which are basically SUVs on steroids, were officially destined for police use in South Sudan's Interior Ministry. Streit exported 173 Cougar and Typhoon armoured troop carriers to South Sudan in 2014. 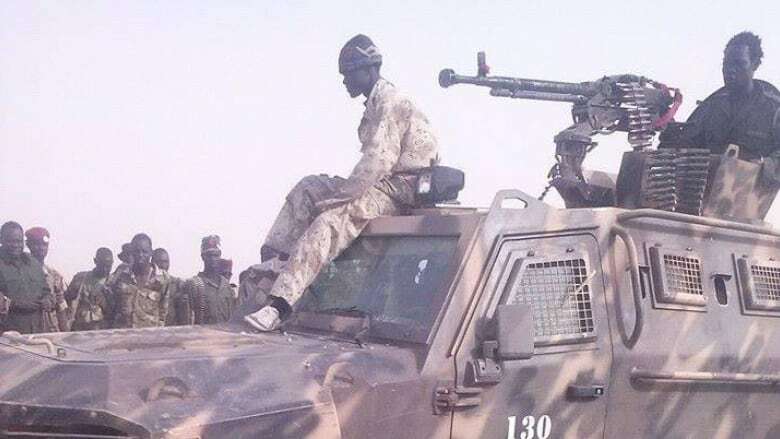 (Obtained by CBC News)But leaked photos, which are also in the possession of UN investigators, show the camouflage-painted vehicles were outfitted with heavy machine-guns and used by the army. The practice of diversion in the arms trade involves selling equipment for a benign purpose, but then it ends up being used for fighting. It's a violation of international law, which human rights groups say Canada is obligated to uphold. The federal government acknowledges one of the key considerations of its overall arms export policy is the end use of equipment being sold abroad, according to arms control reports prepared by Global Affairs Canada. Those reports say "careful attention" must be be paid to "end-use documentation" and that "the export is intended for a legitimate end-user and will not be diverted." Most often the focus is on military-grade goods manufactured in Canada, but the export law is silent when those homegrown systems are built abroad. An expert in human rights law says, in the case of Streit, it's legitimate to ask whether this 2014 deal violated sanctions. Depending on when the armoured cars were delivered in South Sudan, the sale could breach Canadian and United Nations sanctions imposed almost two years ago as the country's vicious civil war raged. The fighting, which has been punctuated with reports of atrocities against civilians, began as a power struggle between the country's president and his deputy in 2013. The war has proceeded in fits and starts amid international attempts to broker peace agreements. The arms diversion issue has the potential — along with the separate $15-billion light armoured vehicle sale to Saudi Arabia — to tarnish Canada's reputation ahead of the Trudeau government's bid for a seat on the UN Security Council. 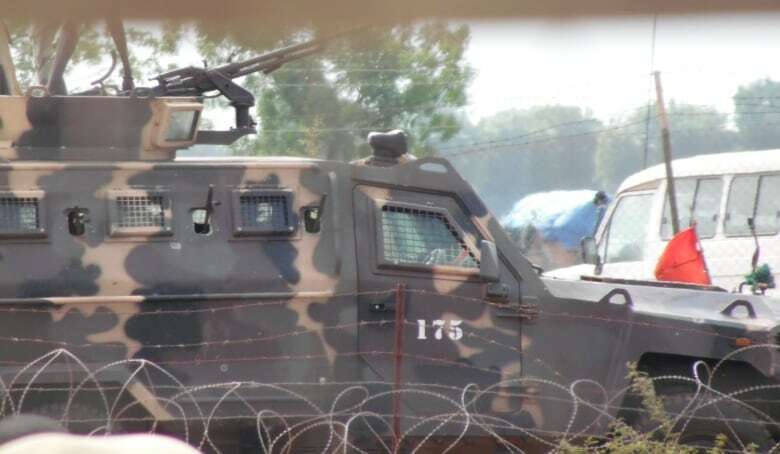 A look at the Cougar armoured carrier, one of two types of vehicles exported to South Sudan for police use in the Interior Ministry. (CBC News)The records, leaked to CBC, raise serious questions about who Streit was dealing with in South Sudan between 2012 and 2014. The sale was approved in three separate batches — in January, March and August 2014 — by Maj.-Gen. Akol Koor Kuc, who is responsible for the Defence Department, and not by the country's Interior Ministry. Luuk van de Vondervoort, a former UN official who last winter helped write the organization's report critical of Streit, says the deal should have raised alarm bells about the Canadian company, which has a manufacturing plant in Innisfil, Ont., north of Toronto. He says Streit, which is owned by Canadian businessman Guerman Goutorov, had a responsibility to ensure that the vehicles weren't sold if there was the possibility of their use in potential human rights abuses. "It's very clear that these vehicles have contributed to the war," van de Vondervoort told CBC News in a recent interview. While the UN panel didn't formally comment on the use of the vehicles in its report, CBC has obtained exclusive photographs of their service during combat in places such as Unity State, where the fighting has been the most intense. 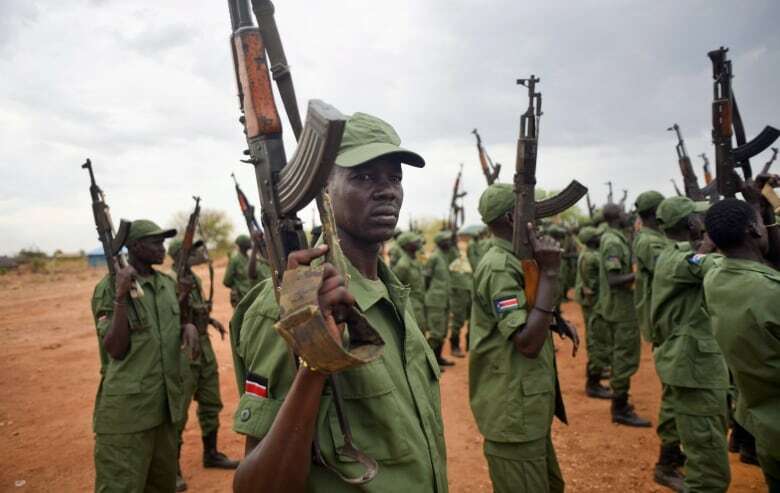 The Sudan People's Liberation Army has been accused of horrific abuses and conducting a "scorched earth" campaign that has slaughtered and terrorised civilians since 2013. Two ceasefires were brokered and broken in 2014, and in the spring of that year the massacre of more than 200 civilians was reported in Bentiu. A shaky peace deal was signed a year ago, but fighting erupted again last month in the capital of Juba, where at least 300 civilians were killed. The UN also reported just days ago that as many as 900,000 people have fled the country since the war first began. The Streit Group did not answer repeated requests for comment. In its initial response to the UN's report, Global Affairs Canada said Streit didn't break Canadian law because the armoured vehicles were manufactured and shipped by the company's branch in the United Arab Emirates, and therefore the sale is outside of the federal government's arms export regulatory regime. It took the department almost a week to respond to CBC's questions. "We take this issue very seriously," said spokesman Francois Lasalle, who went on to note the government's recent decision to ratify the Arms Trade Treaty means there will be "more rigour and transparency for Canada's export controls system," and that legislation will be coming this fall. The department didn't say what Canada knew about the Streit deal and when, nor did officials respond to the allegation that the deal may have violated sanctions. Cesar Jaramillo, executive director of the peace research group Project Ploughshares, says the government is trying to wash its hands of responsibility because the vehicles weren't built in Canada or exported directly from here. The message it sends, he says, is Canadian companies can behave however they want once overseas. He says there should be a federal investigation into the Streit deal and the Liberal government should close the loophole that allows Canadian companies to get around arms export restrictions by setting up foreign entities. "It's high time that Western governments, which tend to be the biggest arms exporters in the world, own up to that responsibility ... for the impact these arms exports are having in countries engulfed in conflict, or that are undergoing situations of mass violations of human rights," Jaramillo said. Van de Vondervoot also doesn't accept the federal government's argument. He says if it were Europe, Streit's owner would be considered liable for — at the very least — violating sanctions. Canada followed the lead of the UN in 2014 and imposed sanctions on individuals in South Sudan who are believed to be behind the bloody civil war. Paul Champ, an international human rights lawyer, says if any of the vehicles — or even spare parts — were delivered after the Conservative government imposed sanctions on Oct. 24, 2014, Streit would be open to prosecution under Canadian law, regardless of where they were built. "I really think there is a live issue here about whether this company has violated Canadian law," Champ said in an interview. "The delivery of these APCs by the Streit Group is right up to the line ... It's arguable that this is an issue of willful blindness here." 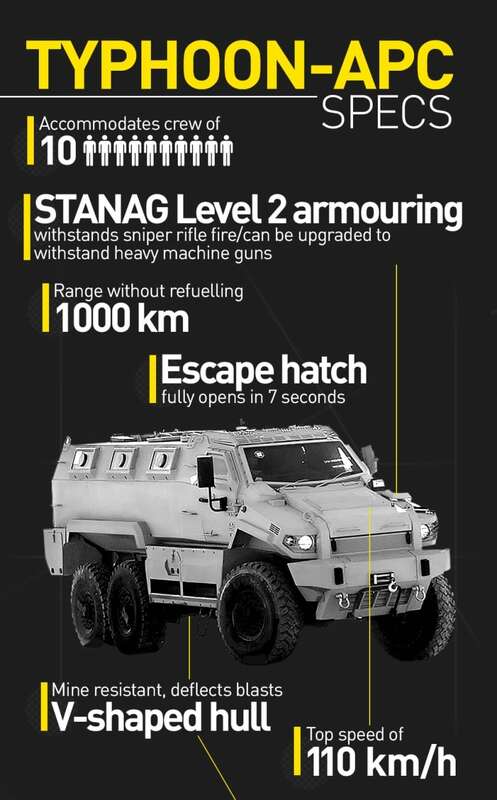 The documents show Streit claims the last delivery of the armoured vehicles took place in August of 2014, almost two months before Canadian restrictions kicked in. But Champ says given the possible diversion of the vehicles, nobody should take the company's word at face value, especially when you consider the timing of the deal. "I think that's a matter that should be investigated," he said. "Everyone knew about the escalation of violence in 2013 in South Sudan, which became a full-out war in December of 2013. 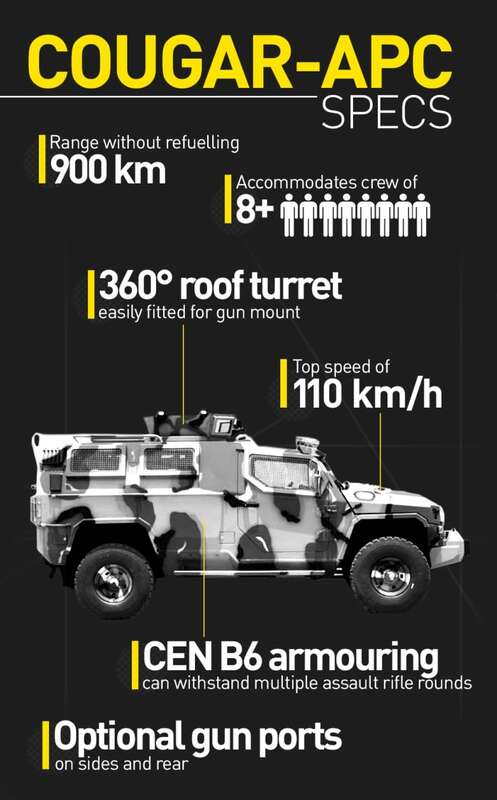 The fact that these armoured personnel carrier were sold in the spring of 2014, right in the middle of a brutal civil war — one of the most brutal civil wars in the world — I think that raises real questions."